If you’re wondering why Jesus of Nazereth isn’t in the list, it’s because that was actually a TV series. However, if you think it deserves a vote, go ahead. Free country and all. And remember, this is a vote for best Easter movie, not necessarily best Jesus portrayal. But again, throw another vote out for the best Jesus ever portrayed if you’d like. And Happy Easter everyone. – According to the US Library of Congress this movie is the most watched of all. – So many elements of this movie have completely permeated popular culture. Would you be able to find anyone who does not recognize the image of “ruby red slippers” or the name “Wicked Witch of the West”? Would there be anyone who is not aware of the flying monkeys? 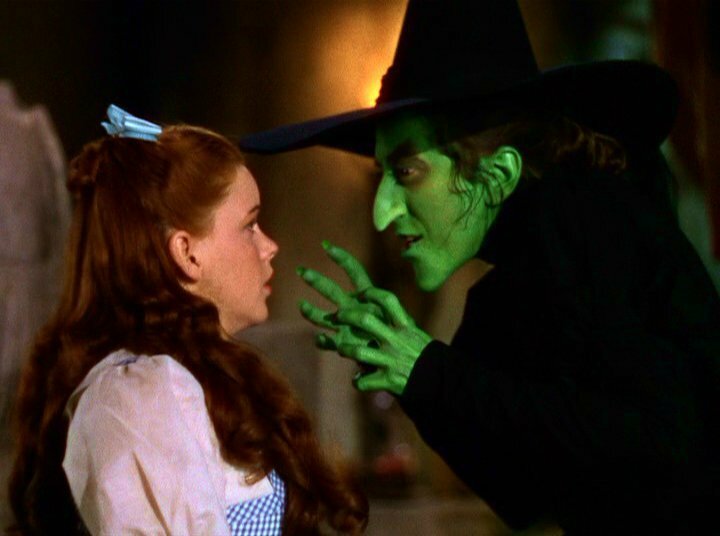 – As far as movie quotes go, none have made their way into our culture’s vernacular like those in Wizard of Oz. Here are eight that I believe would fall under this distinction. Eight!! In it, people are seen as generally good and capable of more than what they think. Even the witch’s henchmen turn out to be great people once she dies. There is also a strong theme of having the power to determine one’s own destinies. In this story, Dorothy—who is both young and a woman—takes charge of her own quest. Encouraged that “dreams really do come true” she escapes to the land she “once dreamed of” and rescues herself, and others from evil. She does this with determination and her own will, but she also finds she can simply click her heels and receive anything she wants. The immortal words “There’s no place like home,” perhaps resonates strongest with us. Even though the movie encourages escaping the mundane and chasing your dreams, there is no doubt that roots are both important and to be honoured. But I believe this movie could be replaced as pop culture’s top dog, and there are two in mind that could do it. Star Wars (and yes, I mean the original trilogy). Though one might think these movies would surpass Oz in being most watched, they haven’t. At least not yet. I’m not sure what the stats are at the US Library of Congress, but SW has to be close. Although, the fact that it’s a trilogy and that it is a sci-fi flick makes me think it may not be the chosen one. My other pick? The Lieutenant Dan one could be debatable, but how about “I’m not a smart man, but I’m smart enough to know what love is,” or “Jenny and me was like peas and carrots”? And one of my favourites: “Forrest, you’re no different than anyone else.” This represents a theme that I believe strikes a particular chord in our hearts. Other themes that make this movie a pop culture darling are simplicity, living for the present, the weak and unlikely overcoming the strong, and valuing people for who they are. It also seems to have all three elements that Psychology Today said were the reason for Oz’s ubiquity. 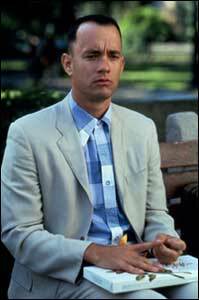 I think it may take another 20 years, but if any movie could movie in on Oz’s territory, Forrest Gump could be the dark horse that takes home the prize. If it doesn’t, I’ll claim to have never written the words above. Congratulations Wizard of Oz. This is your week. Best Actress: Judy Garland. My daughter Erika does a killer impression of her by the way. Best Actor: As much as I love Jimmy Stewart, the award goes to my man, Charlie Chaplin. Best Quote: There are a ton of memorable ones, but my favourite is “Ooh, what a smell of sulfur!” – Glinda the Good Witch of the North. And now for a quiz! Click here and see if you can beat my score of 9/14. And by the way, is it just me or does the cowardly lion just look like someone who hasn’t had sleep in days?? It still amazes me how high of quality movies were even in the industry’s infancy. These three are real gems, but which is your pick for this week’s movie? I have always loved how the richest, most influential people in the world are largely storytellers. Jennifer Lawrence, George Lucas, Brad Pitt, Sofia Vergara, J. J. Abrams, Vince McMahon—to name a few. But being a movie fan I sometimes forget that some of the richest most influential people are also the poets: Kerry Underwood, Bruno Mars, Wiz Khalifa, Kati Perry, One Direction, Rhianna. We all know how much importance we place on our music. Is there any one of us who didn’t have a musician on our wall at some point in our childhood? Almost Famous is semi-autobiographical. It turns out Cameron Crowe actually wrote for Rolling Stone as a teenager, and like William Miller in the story, he met many of his heroes as he toured with bands like The Eagles, Led Zeppelin, and Lynyrd Skynyrd. Can you imagine the wealth of stories he would have touring with these bands? I’m not sure what the soundtrack to my life would include, but my earliest memory of loving a song was “Rhinestone Cowboy.” I also remember listening to LP’s and 8-tracks on my parents’ stereo with a wide variety of genres: Charlie Pride, Anne Murray, The Beach Boys, The Oakridge Boys, Trooper, several “The Best of Country,” and Captain Kangaroo’s Christmas album with Mr. Greenjeans. My favourite was a best of the 60’s various record that had “Surfin’ Bird” on it. That’s right. I was listening to that song before Peter Griffin made it mainstream! I’m a Surfin’ Bird hipster. And any time our family was all together in the car, you could be sure of three things: 1) someone who yell “punch buggy”, 2) dad would crack open the window and light up an Export A, and 3) the radio would be on. So I was always familiar with what was on the charts in the pop/rock scene. But it was my brother who helped me discover my own favourite poets. One day he was singing “Come On Feel the Noise” and couldn’t believe I hadn’t heard that song. So guess what he did? Aw come on, you know. Anyone who is 40 or older sure as heck fire knows what he did. He made me a magnifi-mundo mixed tape, that’s what he did. I remember it having Billy Joel’s “Pressure” as well as “Don’t It Make You Feel Like Dancin’” by the Headpins, “Freeze Frame” by the J. Geils Band, “Eye in the Sky” by the Alan Parsons Project, and maybe even the Payolas’ hit “You’ve Got the Eyyyyyyyyyyyyyyyyyyyyyyyyyyyyyyyyyyyyyyyyyyyyyyyyyys of a Stranger!” And, of course, Bryan Adams was introduced to me. That was when it happened to me. Adams’ face, my wall. When I was a pre-teen I heard a rumour that there was such a thing as “Christian rock.” Though our family knew of people who thought this too was the Devil’s playground—he uses “Christian rock” to trick you into listening to his own soundtrack and before you know it you’ll be worshipping him and back-masking in his evil glory—we were pretty sure it was ok. I was becoming a fan of Petra, a band that my friend Dwayne would play for me, usually through the receiver of the phone. So, for Christmas I got one of their albums from my parents. I couldn’t wait to hear their rockin’ God-glorifyin’ greatness, and when I popped the tape into the trusty ol’ ghetto blaster, the first song I heard was “The Colouring Song.” Now if you listen to this song (you can click on the title and hear it on Youtube) you will not hear what I was hoping to hear: some form of KISS or AC/DC singing songs that make religion seem cool. Instead, it sounded like minstrels had strolled into town strumming and singing something straight from the Canterbury Tales! I was horrified then, but I’ve grown to really like that song. Since that time my musical tastes have both changed and stayed the same. I still love Bryan Adams, Phil Collins and Billy Joel. I also have grown to enjoy The Who, Rich Mullins (greatest songwriter of all time), Bob Dylan, Motorhead, Eminem, The Rankin Family, even Kei$ha. Hey! HEY! I see you rolling your eyes! Cut it out, Kei$ha’s cool! Congratulations, Almost Famous. This is your week. Best Actress: Abigail Breslin! 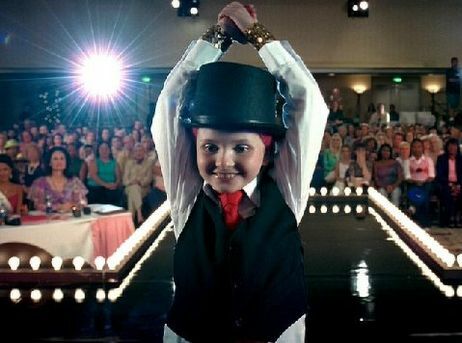 The most wonderful surprise of watching Little Miss Sunshine was discovering this adorable little darling. Her movie acting début, btw, was playing Mel Gibson’s daughter in M. Night Shyamalan’s Signs. Best Actor: James suggested Steve Carrell and I couldn’t agree more. The Oscars are infamous for snubbing comedians, but I think Carrell is starting to change that. He is believable in any character thrown at him. And man, if you can play an idiot in a TV show and a literary scholar in a movie and both are completely believable, you’re a friggin good actor. Best Quote: “I’m getting pulled over! 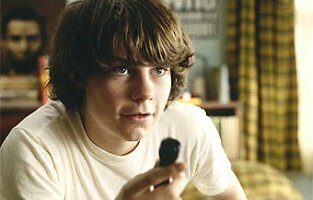 Everyone, just… pretend to be normal.” — Greg Kinear as Richard in Little Miss Sunshine. 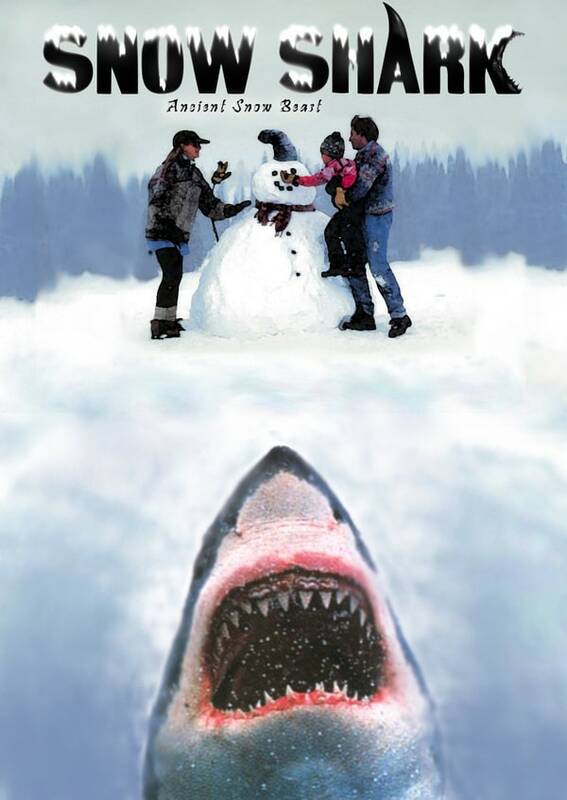 If you’re bored in this yet another snow day for the great north-east, perhaps you will enjoy the following. Feel free to add your own opinions, just as long as they don’t contradict my own. 7. Die Hard 2 (1990) – I watched this one in the theatre summer shortly after I graduated from high school. I could so relate to the snow storm cancelling flights scenes. Very much a part of Canadian living. 6. Trapped in Paradise (1994) – It wasn’t as funny as the comedic star power would lead one to believe—Dana Carvey, Jon Lovitz and Nicholas Cage—but I really liked it. Not sure I’d necessarily recommend it, but good flick. 5. The Thing (1982) – Holy cow scary! 4. The Shining (1980) – Holy cow even scarier!! 3. Fargo (1994) – I know I just wrote about this movie, but seriously go see it if you haven’t already. 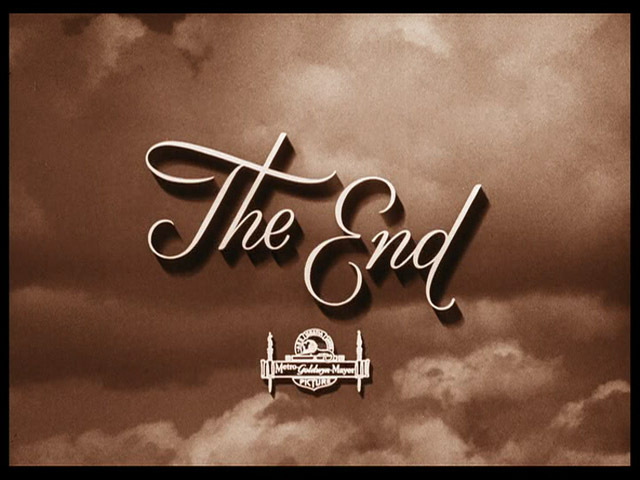 The Coen brothers really know how to make a good flick. 2. Groundhog Day (1993) – If I’ve said it once I’ve said it a thousand times. If I ever run into that Ned Ryerson, he’s getting a punch in the nose! 1. Misery (1990) – A third “holy cow scary” and one of the greatest horror movies I’ve ever seen. I simply love Kathy Bates in this movie and the story is both unique and compelling. If you haven’t seen it and you like suspense (it’s not a gore movie if that’s your worry), it would be a perfect watch for a storm day. Keep in mind that the plot descriptions are taken directly from IMDb, typos and all. When a young ski team training for the Olympics arrives at the remote and isolated Lost Mountain Ski Resort to focus on training, they’re thrilled to find a retired Olympic skier is there to help them train. But their plans are halted when a scientist working at a nearby government lab arrives with the horrifying news that a top secret Government project has produced giant spiders and they have escaped, killing and eating everything in sight. Sorry Ernest. Doesn’t sound promising. The “Boogens” are scaly monsters that look somewhat like giant turtles with lots of sharp, nasty teeth. They are released from an abandoned, boarded-up silver mine in Colorado and proceed to do away with character after character. During Christmas’ holidays, the children of a village split in two gang to play a snowball war. But that half-tone war scattered some bitterness and make more difficult the mutual attirance between Luc, the chief of the assailant and Sophie one leader of the snow castle defenders. IMDb rating: 7.6. Ummmmm… this one actually looks pretty great. I think I’ll check it out. When speaking of the decade of 2000-20009, I think we should call it the 00’s, pronounced “oohs.” It really was a great decade for movies, and all three of these great flicks are absent from both IMDb’s and AFI’s lists, but they place on Empire’s 301 list. Take your pick and throw out a vote. He was almost Batman. Orson Welles wanted to make a Batman movie with Peck as Bruce Wayne. It just never happened. His earliest movie memory is watching The Phantom of the Opera (1925) and being so scared that his grandmother let him sleep with her that night. He was a close friend to Michael Jackson, US president Lyndon Johnson, and his TKAM co-star, Mary Badham. After the movie was made and until the day he died Badham would always call him Atticus and he would call her Scout. He has chaired the American Film Institute, Academy of Motion Pictures Arts & Sciences, and The American Cancer Society (and trust me, there are many more). When the Chrysler Corporation was in financial straits in 1980, Peck was worried about the 600,000 people whose jobs were hanging in the balance. So he volunteered to be their celebrity spokesperson for free. Along with James Stewart, Kirk Douglas and Gene Autrey, his “Hollywood Walk of Fame” star was stolen and later replaced with a new one. He was almost Grandpa Joe in Charlie and the Chocolate Factory (2005). Unfortunately he died before he could give the producer an answer. When shooting Roman Holiday, he insisted that Audrey Hepburn be given top billing (as opposed to being given “introducing” status in the credits) because he thought this movie would make her a star. He was right. In fact, she won the Oscar for best actress for that role. He holds the #12 spot on AFI’s 50 Greatest Screen Legends list. But more notably in my mind is that on their list of greatest screen heroes, his Atticus Finch character from TKAM was voted #1, beating out the likes of Indiana Jones, Superman, Han Solo, and the Terminator. He was a career-long humanitarian fighting for causes like AIDS research, cancer research, and others. In 1967 he was awarded the Jean Hersholt Humanitarian Award. He marched with Martin Luther King. Congratulations To Kill A Mockingbird. Once again, this is your week. Best Actress: Collin Wilcox Paxton. So this name probably seems to come out of nowhere, but she played Mayella Ewell in TKAM. It’s one of the greatest movies in history (don’t take my word for it… read any respectable “great movies” list and see for yourself) and her performance was definitely part of making it so. Small role, but memorable and impacting. Best Actor: Aside from Peck, I think I’d like to go with Alfalfa. Can’t remember his real name, but the Little Rascals star was in It’s a Wonderful Life. It was a neat surprise to see him the first time watching it. Little known fact, my sister and I used to wrestle in the living room and watch WWF back in the 80’s. We were both partial to Bret Hart and Roddy Piper. We also had our own wrestling names, hence the Japanese Wonder reference. Happy Birthday Lisa.